Most everyone enjoys seeing things from further than they can with the naked eye. There are any number of reasons why you might, some include bird watching, astronomy, long range shooting, the list goes on and on. In order to get the best view over the longest distance you need to get your hands on the best high power binocular that is on the market. The problem you may run into in your quest for the best, is there isn’t an easy way to go about finding the best. You can’t just pick the biggest objective lens, highest magnification or biggest price tag. Luckily, you’ve found our article. 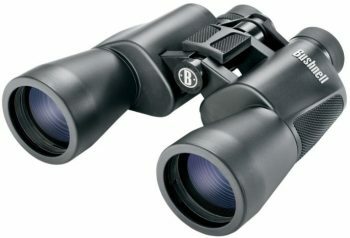 In this article, we have rounded up a pool of these binoculars. 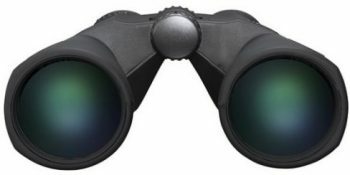 We have found eight high quality high power binoculars, any of these could be a great option for you. But to help you pick the right one for you we have also added in some of the features that you need to keep on your mind when you are looking to purchase a set. 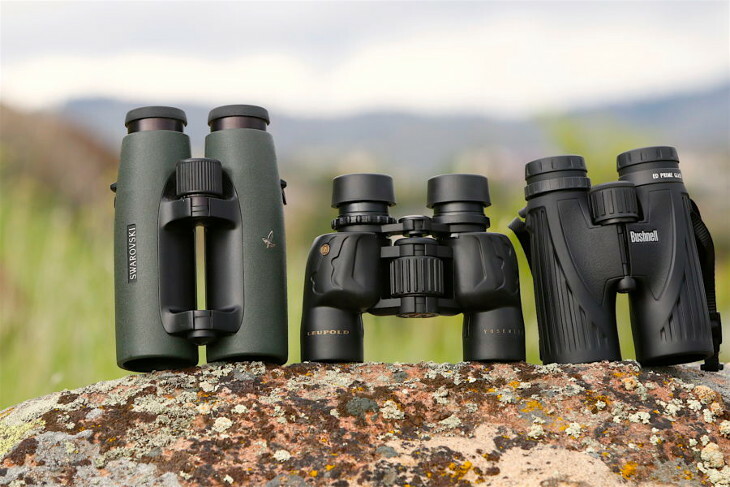 As you set out to find the top rated high-powered binocular, here are a few specs you need to keep in mind. 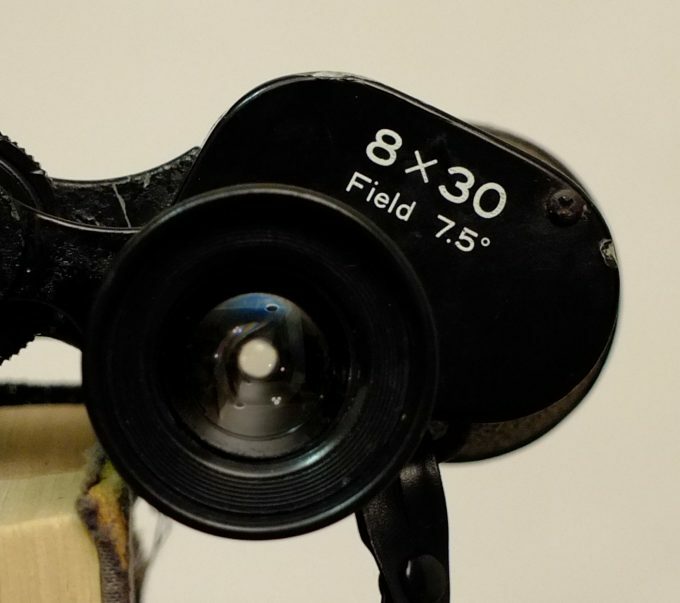 Binoculars are mostly identified with the set of numbers they carry. 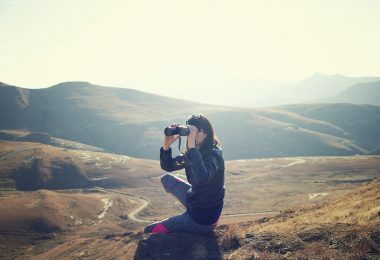 In choosing high power, you should make considerations concerning the purpose of purchasing that particular binocular. The field of view becomes small as the magnification increases. There’s no need to buy a binocular whose magnification you’ll not need. Check out those that are between 16-30x at the highest then move from there if the results are not satisfactory. Also, high power means image stabilization becomes a concern. With every single movement, you make it is amplified in the image, and you may not get a vivid picture. High power binoculars combine with the large objective lens. This follows with an increase in weight of the unit. That’s why you should opt for a binocular that is tripod adaptable. This way, you can spend hours out gazing in the sky and your hands are free from exhaustion and fatigue. Also, look out for how easy it screws onto the tripod. Some binoculars have built-in mounts while others have to accept an external adapter. Either way, it’s important that the binocular allows quick release so you can spend the least time setting it up for use. The size of the focused light that normally appears as a smaller circle on the eyepiece is the exit pupil. The objective lens directly affects the size of the exit pupil. The larger it is, the smaller the exit pupil. To understand how this affects you; during the day, there’s a lot of light, so most of the light hits the eye hence there’s no need for the pupil to dilate to see bright images. But at night, the pupils dilate to allow a lot of light to reach the eye. The same case applies to the exit pupil. When the objective lens gathers light, it influences the exit pupil. Large objective lens means a small exit pupil diameter hence you will strain if you are using it during very low-lit conditions. For the images to remain in color, the lenses, glass, and coatings work hand in hand. Some combinations are better than other, but you’ll find that extra low dispersion or low dispersion glass is the norm. This glass types prevent light reflection hence the image becomes bright. The same case with coatings; multiple layers are better than a single coat to increase the anti-reflective capacity. You’ll encounter either Porro or roof prisms when choosing binoculars. But for high powered devices they utilize Porro prisms. They are responsible for making the product more rigid, improve the light gathering and produce clear images. Now that you know what to look for in some of these high-powered setups, we’ll zoom in on some of our best picks. All of these are top contenders, but you’ll need to look carefully and select the one that fits your needs best. 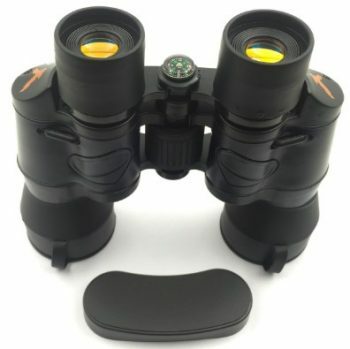 Description: The Celestron UpClose G2 represents a versatile unit. It can work in any environment you choose since it is completely waterproofed. It thrives in long distance viewing thanks to the 20x magnification power. With it, you not only get full images but they are also steady and clear to the edges. It benefits from the BaK7 glass on one of the glass surfaces which reduces the loss of light. This way, you get highly contrasted images. You’ll love working with this binocular as it comes with a center wheel focus. With the diopter conveniently placed on the right eye, you’ll be able to make quick adjustments as you concentrate on the object you wish to see. This binocular has a rubber finish to ensure you maintain a tight grip amid wet weather conditions. What’s more, it has an aluminum housing which acts as a shock absorber in case you drop it. Viewing is comfortable through the rubber eyecups. They provide a soft landing such that you’ll not feel it digging into your skin when using it for an extended period. The Porro prism comes in handy to provide three-dimensional viewing, especially when using it against dark backgrounds. You can recognize an object from very far away like if you use this binocular to watch an approaching boat. Related: If you require using a tripod stand, we highly suggest using the Celestron Altazimuth Heavy-Duty Tripod. It can extend to 45inches and collapse to 32inches. It has a construction from aluminum and so it is durable. Description: The Mystery High Power has the best features for extreme distance viewing. With 50x zoom capacity, you’ll not miss a thing on your line of sight. You can zoom in and out regarding your likes and get to customize your images. The 50 mm objective lens is most influential when it comes to gathering light, hence expect bright images even when the light dims on you. This binocular also uses Porro prisms. It provides easy handling since it is rugged and offers a firm grip. It provides for fast focusing so that you can capture every moment as the outside world unfolds in your eyes. It has high-quality optics which is multicoated to give the brightest images. You’ll like that it achieves actual color making it a favorite among nature viewers and birding. This is a completely weather proofed binocular. It is moisture and dust proof ensuring that the internal elements maintain their condition. You’ll never experience any fogging since it also seals completely. Even with the large objective lens, it remains lightweight thus you can travel with it without adding weight to your gear. 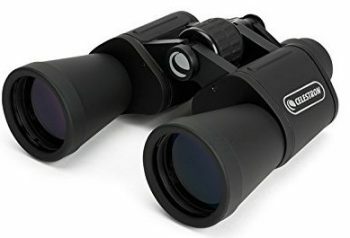 Related: Having some Utility Loop Connectors to pair with this set of binoculars which allows you more flexibility as to how various items are attached to it. Description: The Nikon ACULON is a compact and portable to take anywhere you wish. 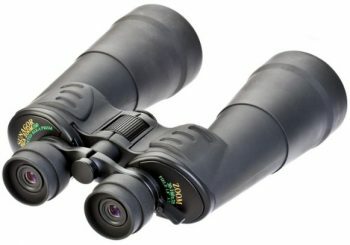 Its zoom capacity is its signature feature since it can go from hunting to nature viewing to serving astronomy purposes. It is also tripod adaptable for when you want a stable viewing when using it to its highest power. The best feature is a quick zoom action through fingertip control. When it comes to the lens system, it is fully multicoated. It has an excellent combination of phase correction on the extra low dispersion glass. This way, the images remain in their natural colors no matter the time of day. 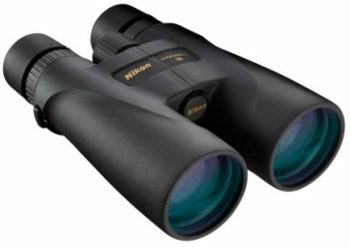 Early bird watchers gravitate towards this binocular since it provides the clear, crisp imaging. It also has anti-reflective coatings which act as anti-glare surfaces. This factor influences high light transmission to provide brightly-lit pictures. This binocular provides superior viewing even for the persons who wear glasses. With 8.6mm eye relief, it is quite long for a high-power binocular. It extends the usability of this device for both young and old. It also has fold-down rubber eyecups to enhance the viewing from both eyes. With the Porro prism providing a flat field of view, the tiny specs that make a view special will be the in thing with this binocular. Related: Nikon is replete with binocular accessories. We highly recommend the Nikon Lens Cleaning Wipes. They are pre-moistened to wipe without leaving behind any streaks. They are non-abrasive so you can use them on delicate eyeglasses. The good thing is that they meet Nikon Optical Quality. Description: The Pentax Full Size is an all–around product made for the extreme outdoors. First, it is entirely waterproofed and can be submerged up to one meter. This means that when the rains come pouring, you can count on it to deliver the viewing expected. It does not fog owing to the nitrogen purging performed on it. You’ll like that it has rubber housing which keeps it from clanking when you are making adjustments. The beauty of this device comes in the mechanic focus lock. After you’ve made quick adjustments using the click stop diopter, you’ll not need to make the changes if it bumps into something. It has a helicoids eyepiece which employs four click stops. It can give a long eye relief; hence influencing the versatility of this binocular. Eyecups come with rain shields to keep them dry and clear whenever you view. Along with the unique eyepiece is the superior light-gathering. It has a 60mm objective which is simply stunning. It ensures perfect observation at dusk or dawn. However, the field of view is narrow limiting its use when you want a full image over very long distances. Nevertheless, it is tripod adaptable hence excellent when you want it for star gazing. Related: If you are looking to acquire a close range binocular, Pentax has their U-Series Papilio II Binocular. 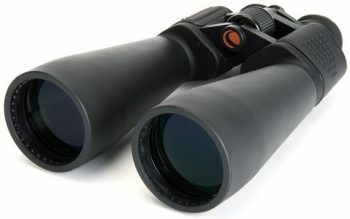 It has lower magnification than the 20×60 Full-Size Binocular. It sees a smaller objective lens measuring 21mm. It is best when you want to watch insects at very close range. Description: The Celestron SkyMaster is the most affordable among other models in its class. It is made with a niche in astronomical viewing since it comes with extremely high power. It combines well with the 70 mm objective lens to provide a slightly larger exit pupil for viewing during the day. After dusk, you may strain with the view since the exit pupil is tiny. The main frame has a centrally located focus wheel which spans between the barrels. You’ll be able to hold it comfortably in your hands when making adjustments. The Porro prism ensures that the eyepieces are positioned closer together preventing fatigue in the process. You can be out for long hours, and the weight will not have an effect on your wrists. It is also tripod adaptable in case you want to acquire the perfect still image. This device comes with adjustable eyecups which are fitted with soft rubber. You make the changes you want when viewing to complement the long eye relief. It also provides an allowance to adjust for interpupillary distance. It is as easy as making opening and closing changes on the central hinge. This way, you’ll always have a full-sized image. Related: Celestron has a great tripod to use with this binocular. The Celestron TrailSeeker Tripodis perfect for supporting this 6-pound binocular. It has a construction from aluminum and can extend to 70.5 inches from as low as 18.9inches. It has four legs but can also transform to the three-section tripod. It also comes with a retractable hook where you can add weight for extra stability. 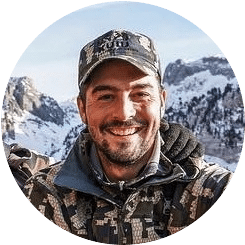 Description: The Bushnell Surveillance Powerview comes from one of the most influential binocular producers in the industry. It draws from state-of-the-art technology so you should expect highly reliable features. First, it comes with top quality optics which delivers high-definition images. You will be able to see out to further distance with clear images that do not have a single streak at high magnification. It follows a modern design with Porro prism which ensures it has simplified operations. It benefits from instant focusing using a single touch. You can keep the subject at close view since it can also track fast moving targets. You’ll like that it has a huge field of view. For every 1000 yards, the binocular provides 170ft FOV. It, therefore, makes an excellent piece for surveillance. The lenses are all multicoated, light is optimized to reach the eyepiece even in dim conditions. It can deliver bright images along with excellent clarity. This device has rubber armor which is useful to provide a stable grip when focusing. It is a light product which feels very comfortable to beginners and seasoned users alike. This device has been nitrogen purged to release any air that may cause fogging. You can, therefore use it humid environments and the optics will remain clear from the inside out. Although it is water resistant, you should not submerge it in water since it may damage the internal components. Related: To use this binocular, we recommend the Bushnell Tripod Adapter for Binoculars. It also benefits from HD quality images making it ideal for star gazing and birding. 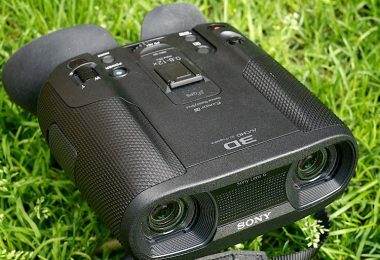 It is lightweight and folds to a small size for portability.There’s also a great Binocular Deluxe Harness by Bushnell to help ease fatigue as a result of carrying the unit for extended periods. It has elastic straps which keep the binocular resting below the chin for quick focusing. Description: The Nikon Monarch calls for attention from every dimension. It uses extra-low dispersion glass to ensure that the images you see are all clear and that they feature all the details. It can maintain true color fidelity thanks to the phase corrected Porro prism. The images are in high contrast for users who are into birding, boating, and sightseeing. It also has a dielectric multi-layer mirror prism which also works to maximize the light reaching the eyepiece. This means it can also work in thick bushes where lighting is next to zero. As a long-distance viewer, this binocular is furnished with a 56 mm objective lens. It helps in bringing objects into sharp view since it carries high light gathering capacity. The Monarch boasts a user-friendly design. The frame has rubberized grips, textured focus wheel, and soft eyecups. You can focus fast and easy since it maintains an ergonomic style that is easy on the hands. This device carries a long eye relief unlike other binoculars in its class. It achieves 16mm of eye relief hence persons who wear glasses will also find it comfortable. The eyecups can twist-up to the direction you want so that you can have a full view of the subject in question. You’ll like that it can work in the worst weather conditions. It also comes with a tripod adapter to expand the possible uses of this binocular. It is a bit pricey considering the features it brings to the table. Related: With Nikon, you know exactly what you are getting. 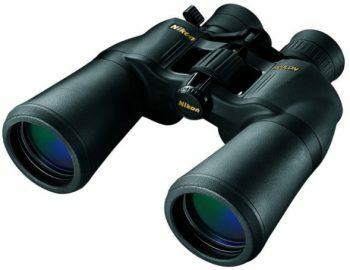 If you need to focus on near objects, there’s the Nikon Monarch 16×56 Binocular. The only thing that changes here is the low power which allows viewing of objects from close range. It uses extra-low dispersion glass and is weatherproof. Description: The Sunagor Mega Zoom serves as the most versatile product we have on this list. With the capacity to vary the power from 30x to 160x, it opens your world to a whole lot more activities. You simply use a zoom lever to acquire the image you want when considering the distance of your view. It comes with Porro prism which makes for the high-quality optics. The objective lens is massive while it uses Japanese eco glass which has special Sunagor coatings. This device has a streamlined design since it styled as one piece. You don’t have to screw on anything upon arrival. Hence it is much stronger than most high-powered models. The barrels come together uniformly making it rigid and easy to handle against dropping you’ll like that it has the allowance of using straps to hold it securely as you move. This feature reduces the chances of dropping it amid wet conditions. If you wear glasses, you are also in luck since it comes with rubber twist-up eyecups. They allow a snug fit closer to the eyes. Since it uses BaK-4 glass, the unit can gather lots of light and provide clear pictures in dark environments. With the help of the objective, the images are always vivid and with high contrast against various backgrounds. Related: If you like using compact monocular, Sunagor offers their Image Stabilizing 10-20×25 Monocular. It utilizes gyroscope technology to still all images focused using its optics. 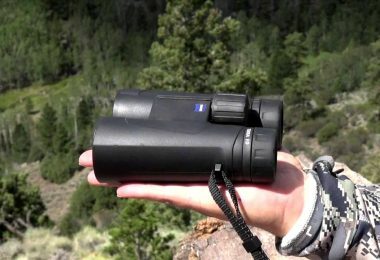 The device is the lightest of monocular and comes in a streamlined style for easy handling. 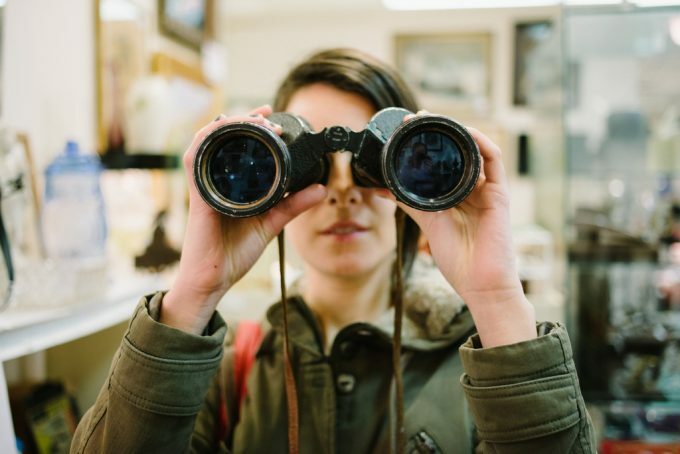 We hope you can now stay calm as you know what to look for in high power binoculars. 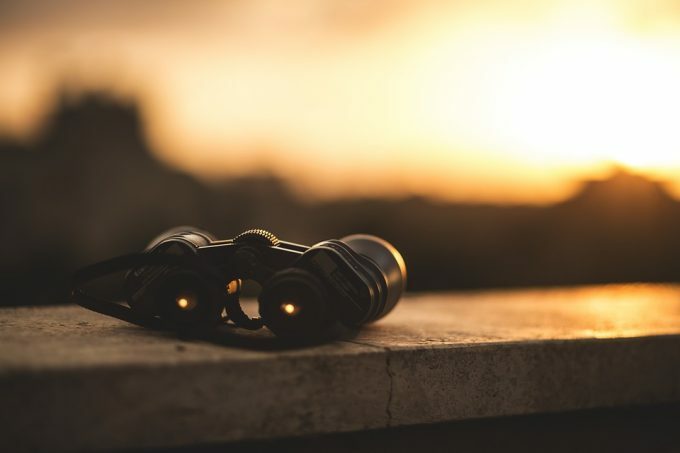 Remember that although they have comparable features, the quality varies regarding the price of the product.It doesn’t mean you have to start saving up for a good make, but it all comes to the purpose you need the binocular to serve. Lastly, we’d like to hear from you. Do you have experience with any of our picks? If so, let us know about your time using them in the comments section below.